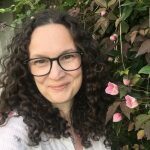 Emma is the most inspiring teacher I’ve ever had. 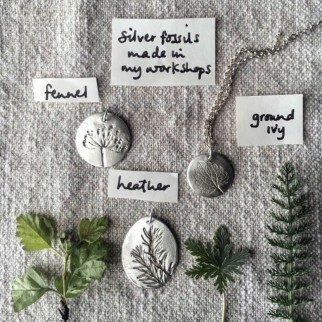 Her workshops are a heady mixture of learning an amazing new skill, turning your imagination to beautifully wearable jewellery, and laughing your head off. 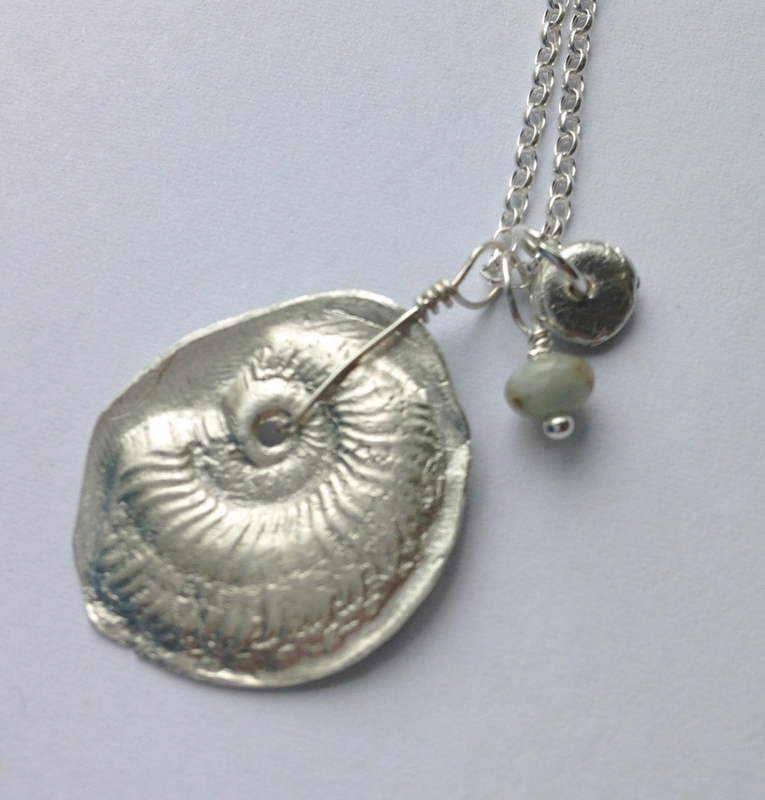 Silver clay is a rather unpromising-looking grey clay to which we add shape and texture and then fire on an ordinary gas hob. This process leaves fine silver (99%). 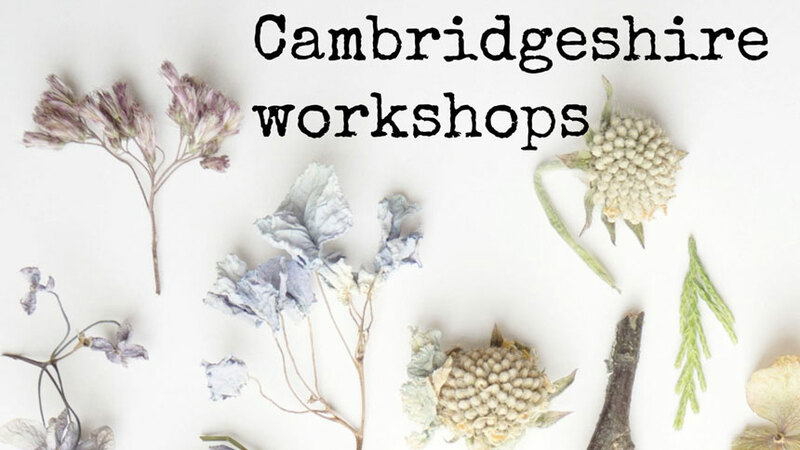 I teach my workshops at our cottage in Cambridgeshire, at the Cambridge University Botanic Gardens, Daylesford Farm, Metal Clay Ltd and at venues round the UK. 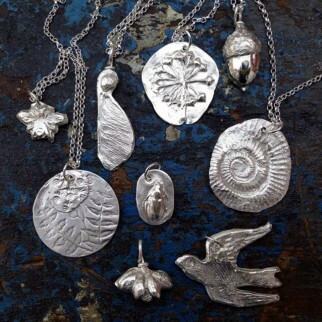 The process is like modern-day alchemy. 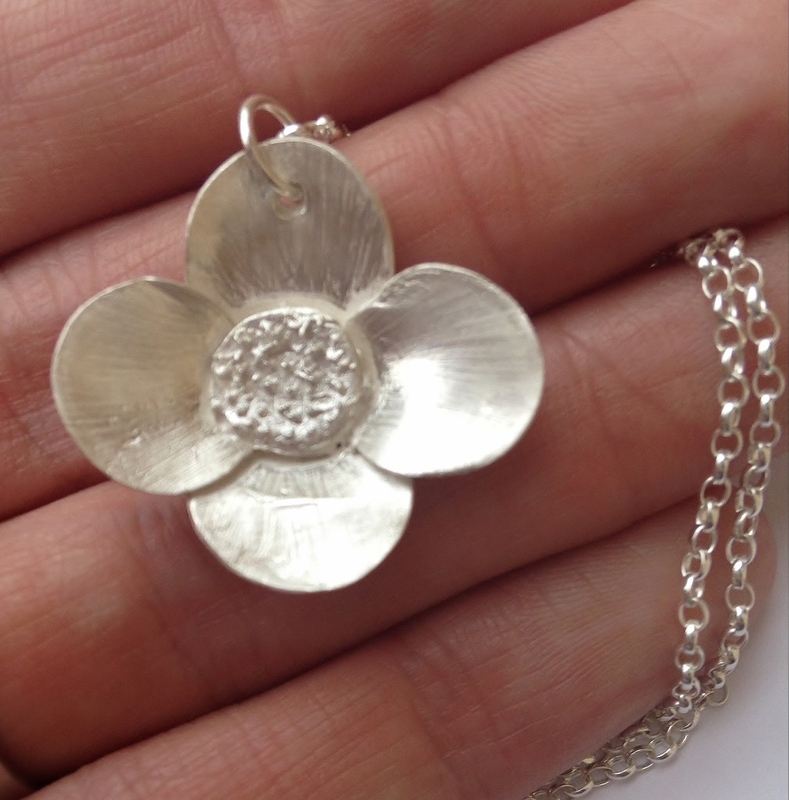 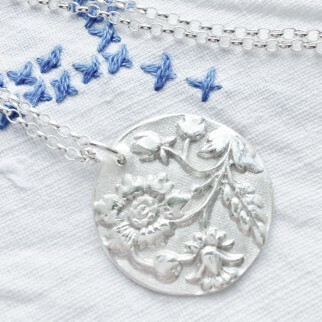 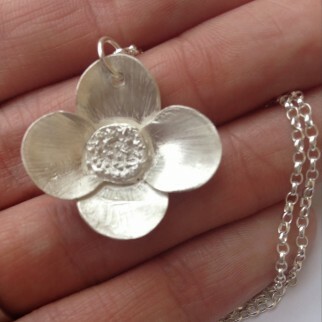 During my workshops we cast nature finds, flowers and tiny precious objects in silver by making silicon moulds. 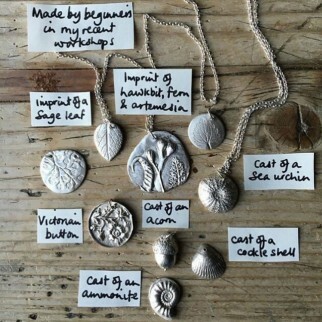 These moulds are like an archive of small, beautiful finds which we can cast into wearable silver versions. 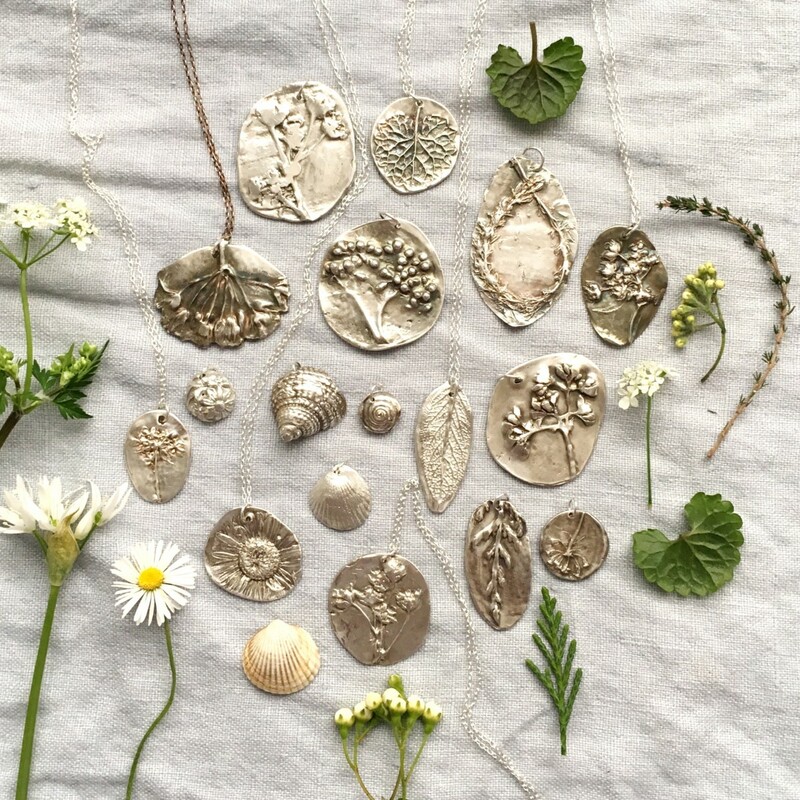 Casts of seasonal flowers and leaves are, in effect, silver fossils. 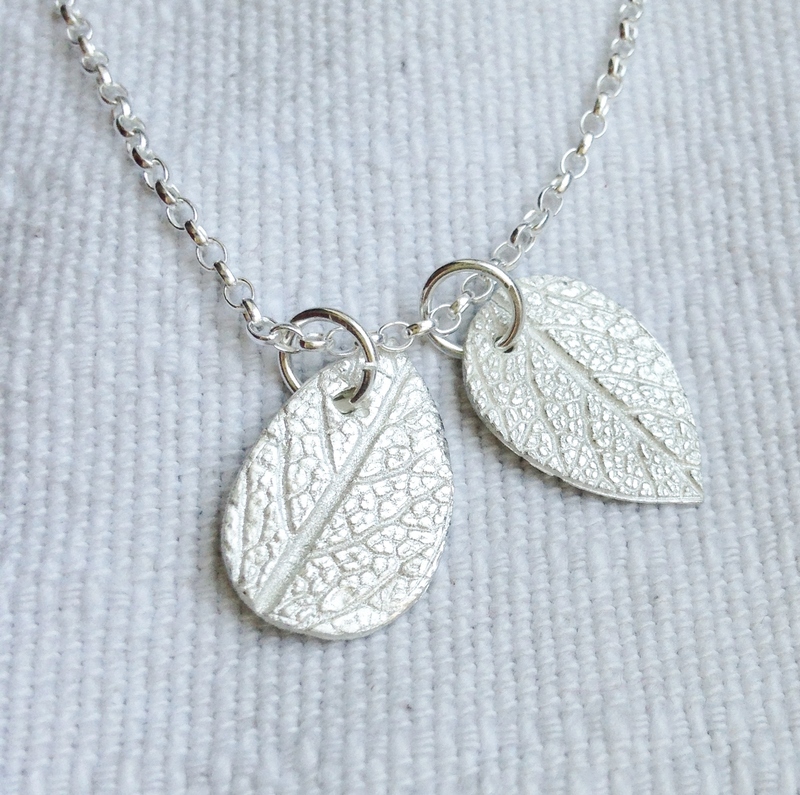 The plant material becaomes compost but the pendants endure and can be worn in the winter to remember warmer days. 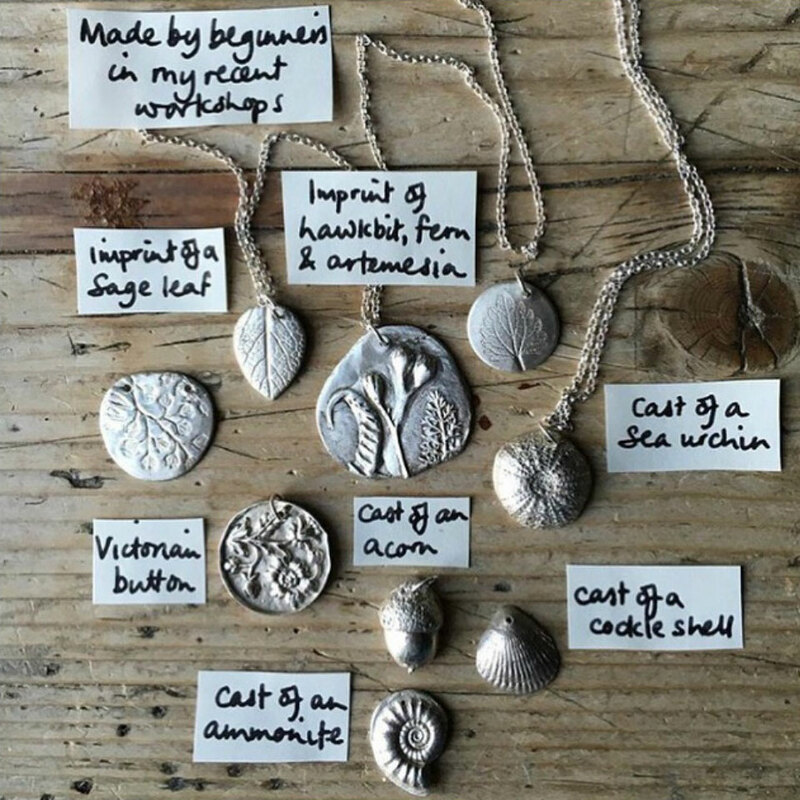 All the pendants and charms pictured on this page were made by beginners. 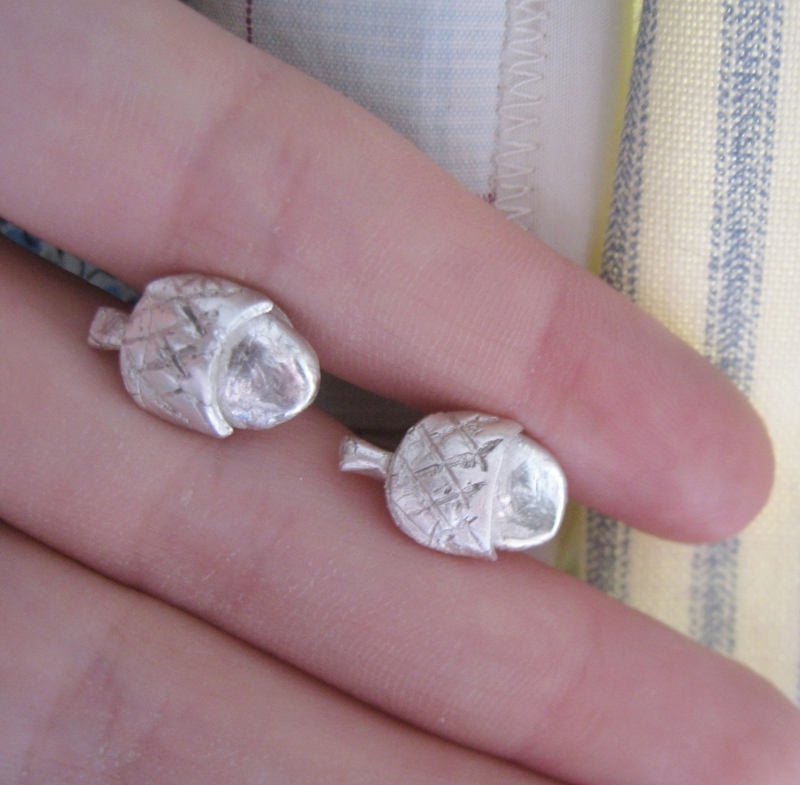 Once dried and fired the charms are polished and the fine silver is revealed. 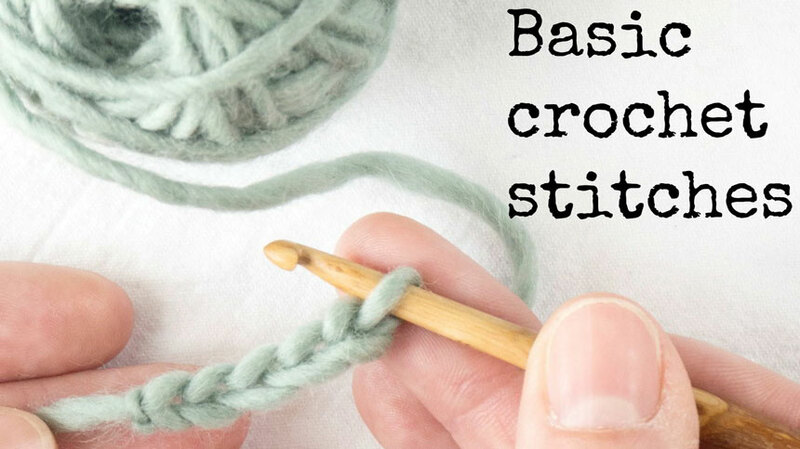 This is always a very exciting moment indeed. 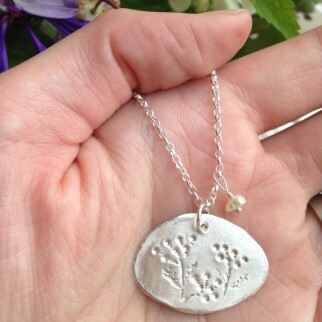 So far three people have actually cried with craft joy. 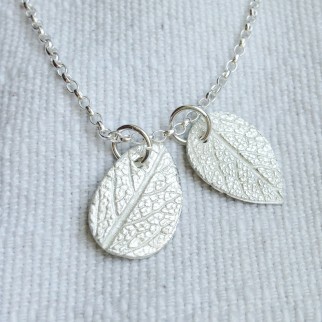 Once the charms and pendants are polished we attach them to silver chains to make beautiful necklaces. 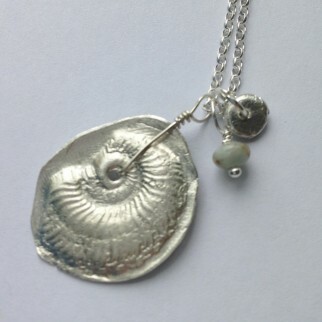 Sometimes we have time to add a few gemstones and freshwater pearls to your designs. 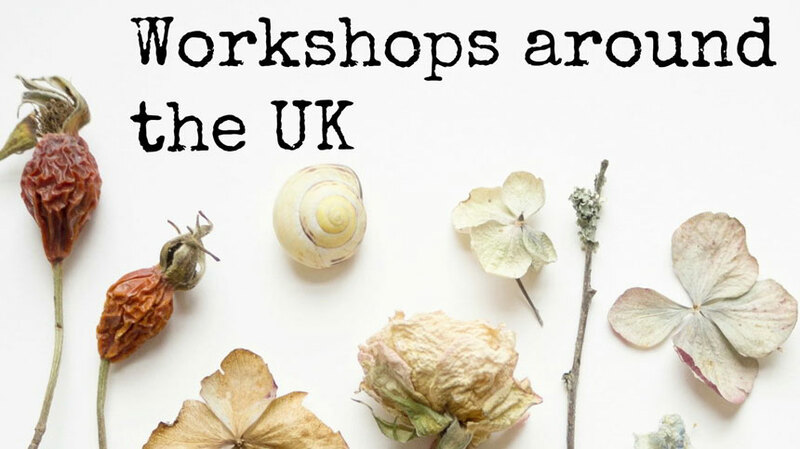 If you’d like to come along to one of my workshops or check availability then pop over to my booking page. 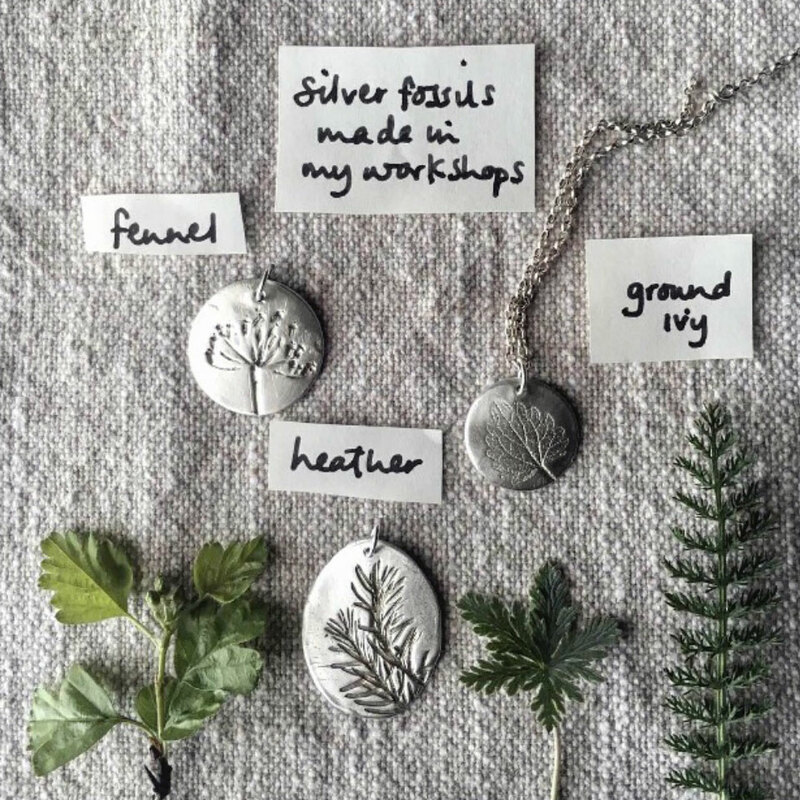 If you’d like to host a workshop (ideally we’d need space for 6 people round your table) then go to my host a workshop page.